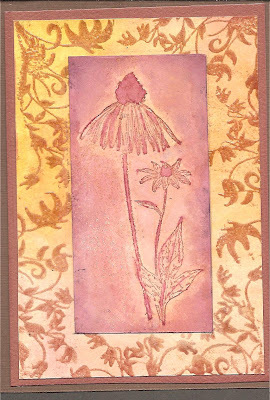 I haven't used this Echinacea flower stamp before despite it being one of my favourite images. I had more messy fun making this as it was a combination of distress inks, water, paint and holographic embossing powder. Everything,including me got a good drenching plus I went to bed covered in glitter. I felt like Fairy Tinkerbell. Such a fabulous image. I really love what you've done with it! Such a lovely piece. Bravo. This is beautiful, Pen. I love those subdued pinks and browns. Covered in glitter, how nice :) It was worth it! Beautiful card! 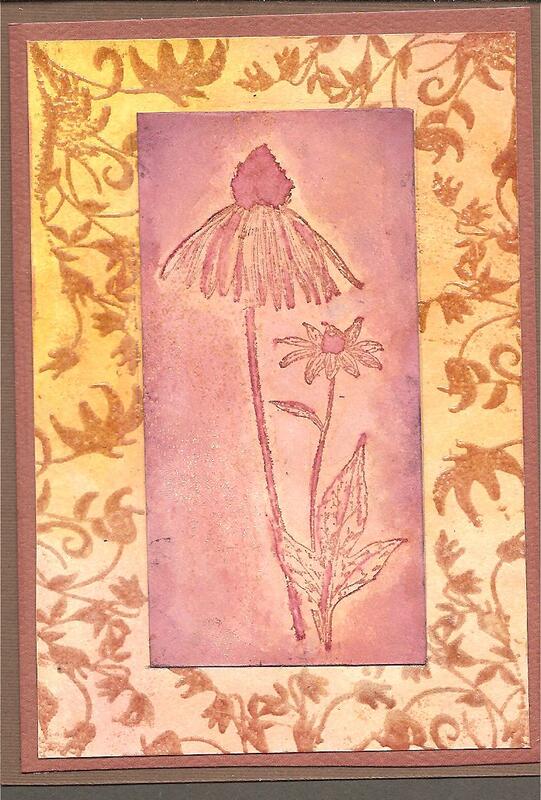 Stunning card, such gorgeous soft colours, you are always so inspiring. Beautiful card hun - loving the colours! Hope you had sweet dreams Tink!